The Dragon 32 Home computer was launched by Dragon Data Limited of Wales in August 1982. The computer was based on the Motorola MC6809E processor running at 0.89 MHz, together with 32K of RAM, with built in Microsoft BASIC and the ability to load software either from cassette or through the built in cartridge slot. Unfortunately, the Dragon 32 was let down by its limited graphis capabilities - with the highest resolution display being 256x192 pixels in 4 colours, which impacted on the attractiveness of the system for games players. 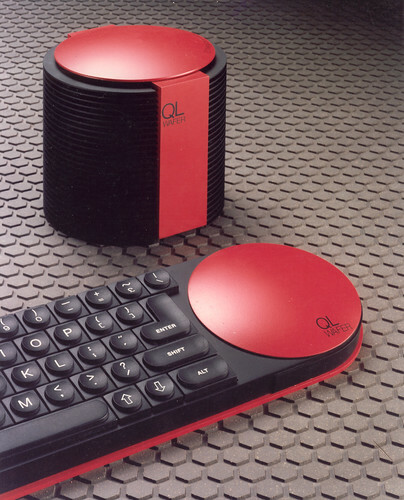 A broad range of peripherals exist for the Dragon 32, and on top of this there are add-ons such as the Dragon's Claw which give the Dragons access to the BBC Micro's large range of accessories (a particularly important factor in the UK home market). A disk operating system, DragonDOS was supplied as part of the disk controller interface from Dragon Data Ltd. In addition to the DragonDOS disk operating system, the Dragon 32 is capable of running several others, including FLEX, and even OS-9 which brought UNIX-like multitasking to the platform. Worlds Of Flight 0 days, 19h:37m:19s £22.95 Buy now! Dragon 32 / 64 Replacement Rubber Feet - Pack of 4 4 days, 21h:14m:18s £2.70 Buy now! Dragon 32 / 64 Replacement Rubber Feet - Pack of 2 4 days, 21h:20m:15s £1.60 Buy now! The Working Dragon 32 8 days, 02h:57m:45s £12.95 Buy now! Vegas Jackpot 8 days, 03h:56m:07s £4.95 Buy now! Dragon Invaders 8 days, 03h:56m:07s £9.95 Buy now! Eddie Steady Go! 8 days, 03h:56m:07s £2.95 Buy now! Dragon RF Computer to TV Lead - New 9 days, 00h:14m:47s £2.60 Buy now! Programming The Dragon 32 9 days, 03h:37m:56s £12.95 Buy now!